Bath Fitter has been North America’s leading manufacturer of acrylic bathtub liners, tub surrounds, shower stall liners, and shower stall replacements since 1984. Bath Fitters goal was to create a long-term, sturdy bathtub liner solution that fit perfectly over old, worn bathtubs but offered more than short-term bathtub refinishing and bathtub resurfacing technologies. 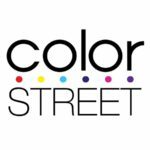 Color Street is a creative beauty brand with limitless possibilities. We believe in supporting and empowering a person’s spirit & individuality. We celebrate entrepreneurs and inspire them to pave the road to personal success. Welcome to Cutting Etch Studios … specializing in personalized gifts. Creating unique gifts and custom creations in glass, wood, metal, stone, & much more! Quality Laser Engraving for Any Occasion. Want to give your friends, family, clients, and customers something they’ll truly remember? Ditch the standard gifts and marketing pieces and give them something they won’t soon forget. Whether you need a wedding gift, sign for your home, or items with your company logo, laser engraving is the way to go! We don’t believe in limits, and our pieces range from tumblers, glassware, wood signs, stone, all the way to leather, canvas, acrylic, and more. If it can fit our equipment, we’ll engrave it!